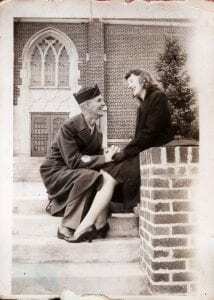 Thomas F. Diener, a Milwaukee native who served in the 2129th Engineer Fire Fighting Platoon (Aviation) during World War II, and his girlfriend (and later wife) Betty Gene Dealy during his stateside training and service in England. 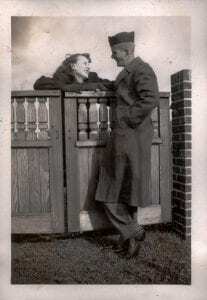 Thomas Diener proposing marriage to Betty Gene Dealy on the steps of a church before Thomas’ deployment to England during World War II. Thomas is wearing a uniform and Betty is wearing a coat and high heals. The native Milwaukeeans began dating as early teens and married after the end of the war. 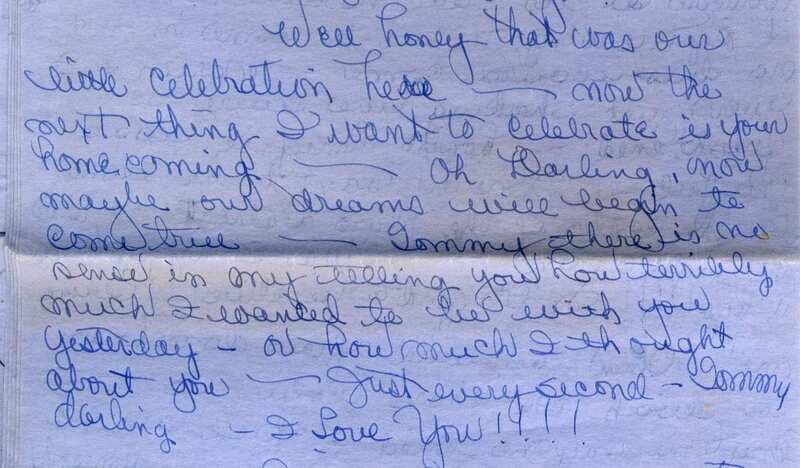 Betty Gene Dealy accepting Thomas Diener’s proposal of marriage on the steps of a church before Thomas’ deployment to England during World War II. The couple are embraced in a kiss. Thomas is wearing a uniform and Betty is wearing a coat and high heals. 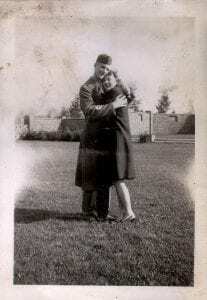 Thomas Diener and Betty Gene Dealy posed together at a gate in a church yard. Directly before this photograph Betty accepted Thomas’ proposal of marriage. Thomas is wearing a uniform and Betty is wearing a coat and gloves.